“Thank you so much. 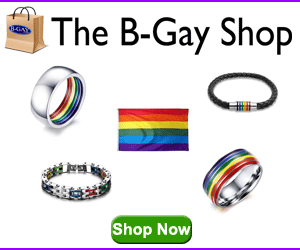 This is so lovely,” said the show’s gay host RuPaul as he accepted the award. RuPaul accepted the award “on behalf of the 140 drag queens we have released into the wild” and addressed his speech to “all the dreamers” watching. 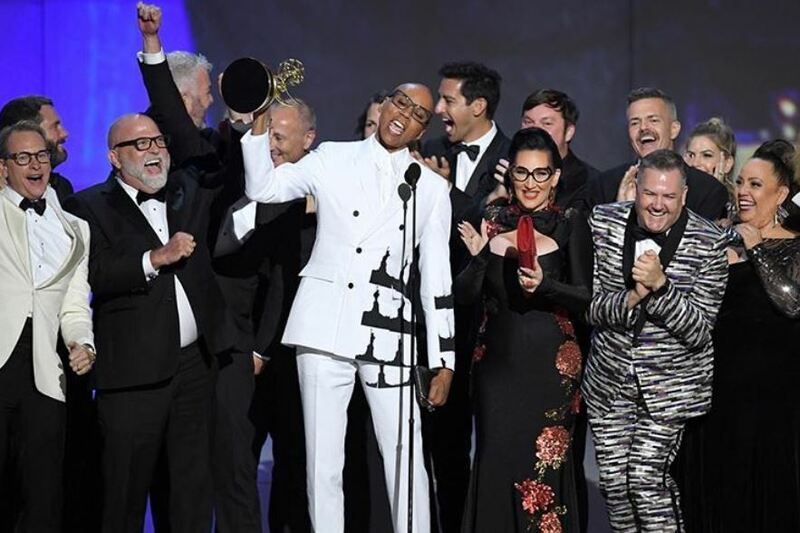 RuPaul took home Outstanding Host for the third year in a row at the Creative Arts Emmys earlier this month. RuPaul Andre Charles was born November 17, 1960 in San Diego, California, U.S.A. He lived in New York City where he came up through the club scene and has since moved to Los Angeles. RuPaul is a drag queen, actor, model, singer/songwriter and television personality. His reality television competition, “RuPaul’s Drag Race” premiered in 2009 and has since received 2 Prime Time Emmy Awards. RuPaul was included in the 2017 Time 100 list of the world’s most influential people. RuPaul was featured as a dancer in the 1989 music video for The B-52’s song “Love Shack”. He was a prominent fixture in the club scenes of Atlanta Georgia and New York City in the 1980’s and released his debut album “Supermodel of the World” in 1993. In 1994, VH1 gave him his own talk show “The RuPaul Show” which has over 100 episodes. It was the first national talk show with a drag queen host. RuPaul co-hosted the show with his longtime friend Michelle Visage. Guests of the show included Cher, Diana Ross and Olivia Newton-John. RuPaul has 14 studio pop albums and has appeared in various films and television shows including “But I’m A Cheerleader” (1999), “Happy Endings” (2013) and “Broad City” (2017). RuPaul is a vocal gay icon, credited as the most commercially successful drag queen in the United States. He has brought drag culture into the mainstream and many believe he has revolutionized queer representation in the media. RuPaul has expressed indifference regarding gender specific pronouns and makes public appearances both in and out of drag. RuPaul has been with his husband, Georges LeBar since 1994. The couple married in 2017.